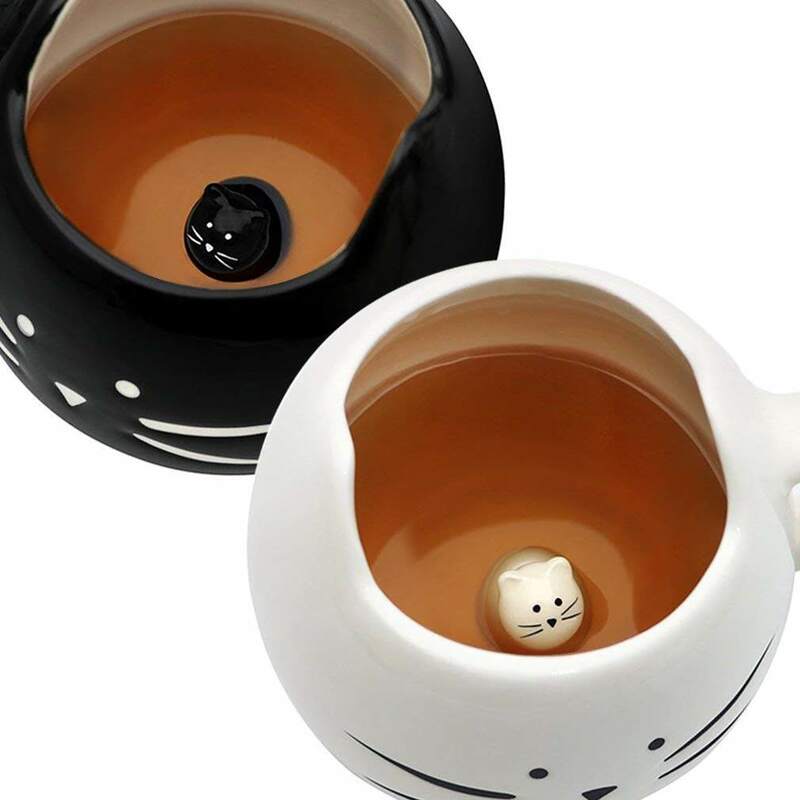 Upgraded Surprise Black and White Cat Mug - Funny creative cute design white cat coffee mug with baby "meow" inside. Best Conversation Starter, and make an Impression any way you hold the Mug. 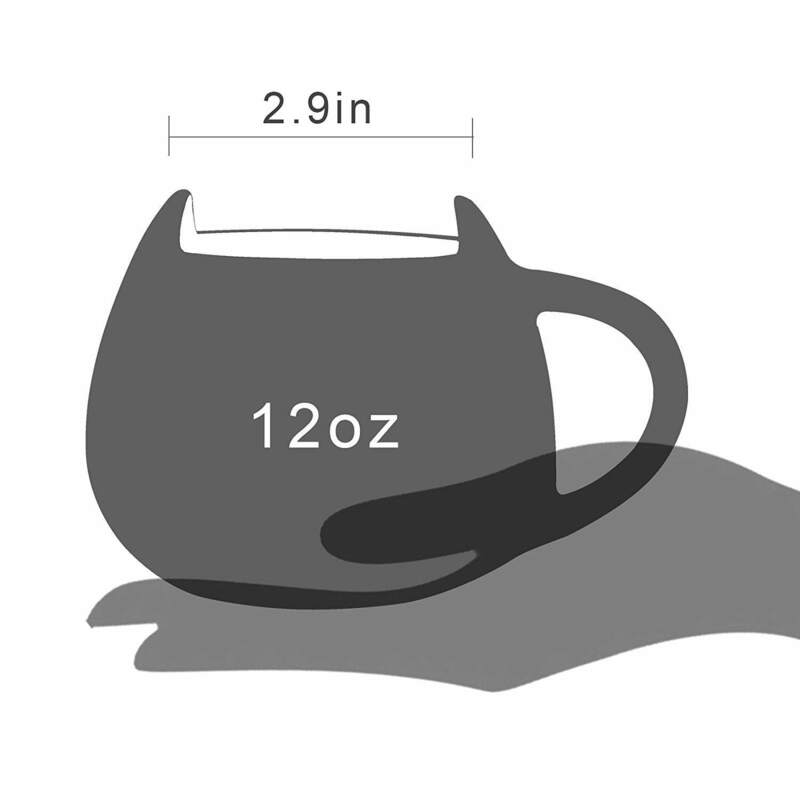 Easy To Clean and Dry - This cute cat coffee mug has large capacity 12 oz with a round lip. It is very easy to clean inside and air dry. Much Healthier and Safer than plastic or paper cups. Exquisite design, suitable for hot and cold drinks. Packaged in a Safe box.Gift pack . Service Guarantee - Now click "Add-to-cart", and you will get it in a Safe packaging box and on time! We strive for your satisfaction. Teagas is the registered brand on Amazon. If you have any questions, please kindly let us know. Thanks for your time.